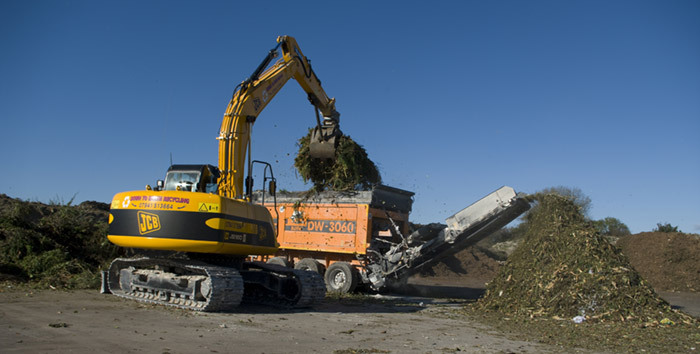 Down To Earth Recycling Ltd specialise in producing quality compost for agricultural and landscaping purposes at our commercial composting site and Waste Management Facility at Kirton-in-Lindsey, near Gainsborough, Lincolnshire. We provide compost with a high nutrient content, which cuts down the need for fertiliser applications to agricultural land, therefore saving our customers considerable expense, as the cost of fertiliser has risen substantially in the last 12 months. In addition to this, Down To Earth’s compost will supply other essential trace elements and organic matter, and the organic matter is known to improve the soil structure and to have a positive effect on its structural stability, its water holding capacity and workability. More importantly, the organic matter has a long lasting effect, because of its high lignin content which is slowly degraded by microbes in the soil.